Ya know, I’ve been praying that prayer for years. 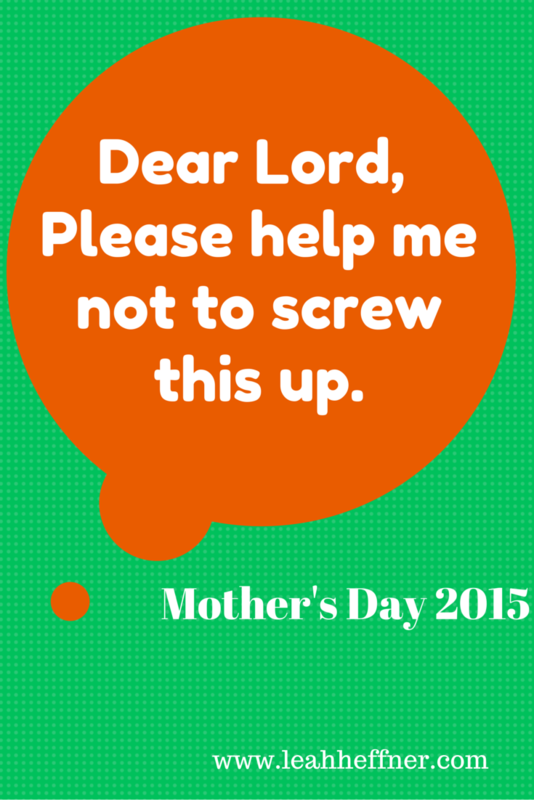 This prayer certainly doesn’t make me a mother. For me though, I can see it woven into my story of how motherhood grew inside of me. Like when I started asking God where He had work for me to do and I was reminded that motherhood is beautiful, precious, and important work. Dear Lord, please help me not to screw this up. When I met my husband and I saw how much he loved his family and I knew he would be the most amazing husband and father. And we went through pre-marriage counseling and discussed “how many/how soon” which left me crying on the way home as I told my husband my biggest fear : not being able to have children. And he told me that if God was growing in me a desire to be a mom, then I would be a mom even if it meant never giving birth to a child. I had 100 students my first year of teaching. And that number only continued to grow. And there were a couple of crazy-special students who I got to see in a unique way through my class and even outside of class. And a lot of days I would say “It’s hard starting to be someone’s mom at 17” as I talked through home and family issues, encouraged, and let them know they were loved. And my second born, who in every possible way was so different from his sister which I always knew but it took me a while to learn how to act on that and through that. And I’ll always wonder about my stoic child. The other day my 3 year old asked me what Mother’s Day was for. Not wanting to tell her that it was all about me I answered that Mother’s Day is a special opportunity for mommies to hug their kids a little tighter and remember how special it is to be a mom. So to all my kids, the ones I gave birth to, and the ones I just love like a Mama Bear, I will think of you all this Mother’s Day. I will pray for you and let out a deep sigh. I so relate to: “LORD, please help me not to screw this up.” I never had children of my own, and did “childcare” instead. I went to work with that exact same sentiment in mind. You just stated it very well. Oh well. Thank you. I always think “I don’t really know the long term impact of this” so I make the best choice I can and give it to God. Thank goodness for his boundless mercy! Think of a mom. Encourage a mom. Love on a mom.